Open Account Skrill , please click here! 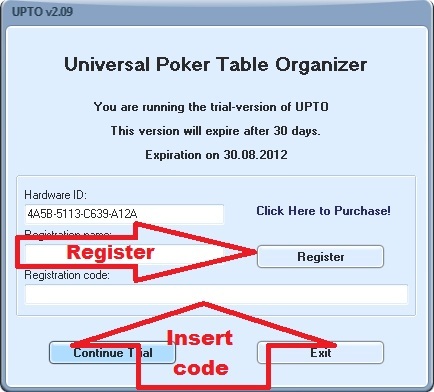 After payment it is necessary to send the letter on uptopoker@gmail.com with yours Hardware ID , Registration Name from a e-mail through which payment has been made. 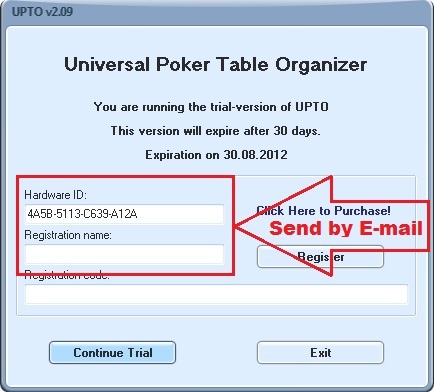 Please, in the letter subject write “BUY UPTO” . The registration code you will receive on your E-mail within 24 hours.